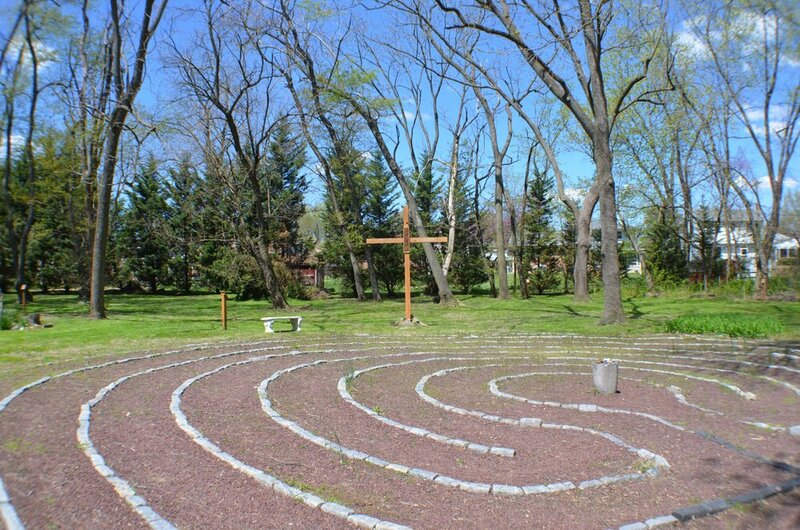 The labyrinth, which can be used for walking meditation, is a great way to reflect and renew your spirit. The outdoor Stations of the Cross and a small grotto also provide other options for inner reflection and contemplation. Benches are placed around the grounds for rest, reflection and nature watching. The front lawn of the property, surrounded by beautiful old trees, provides another space for activities or rest.